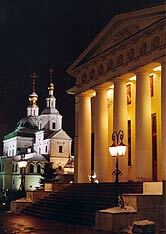 Famous masters from Pskov, Tver, Novgorod, the Great Vladimir and also Italian architects erected the walls, towers, cathedrals and palaces of the Moscow Kremlin. Few places in the world are destined to become a kind of symbol. One of them is Red Square, a symbol of great emotive power. 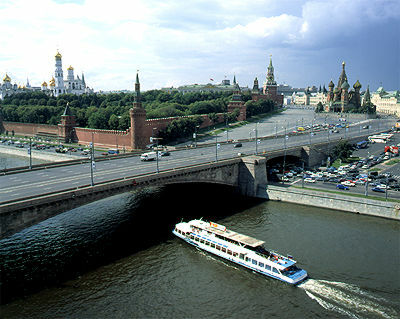 It is the main square in Moscow. 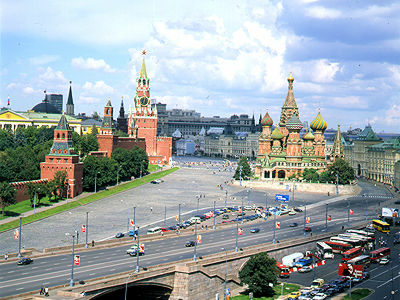 The history of Red Square inseparably links with the history of Moscow. It was the best trade square in the centre of Moscow and that's why it was called Krasnaya, which in those days meant beautiful and now means red.